Enotecas – wine bars – are an important part of Italian culture, and it’s where you’ll find some very good bottles available by the glass. 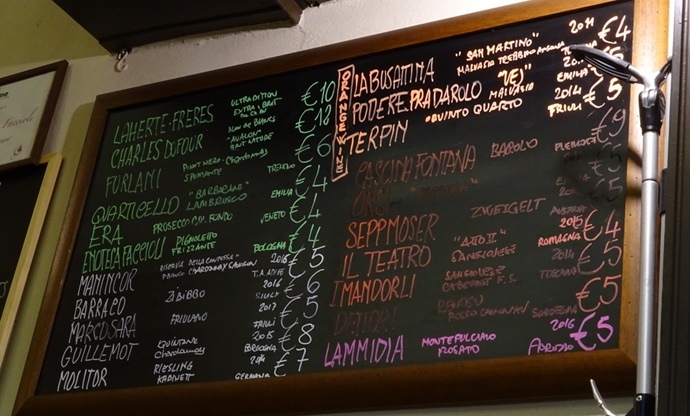 Jacopo Mazzeo lists his five favourites found across the city of Bologna in Emilia-Romagna. You should know that Bologna’s gastronomic heritage goes well beyond spaghetti Bolognese (which, by the way, is not even a real Bolognese dish). You should also know that great food is significantly enhanced when married to great wine. 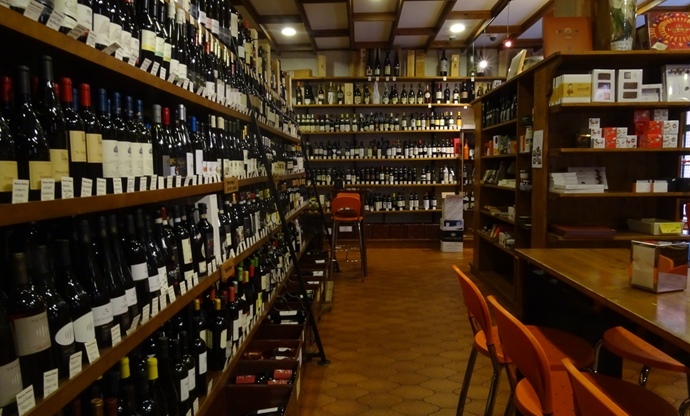 So I’ve compiled a list of the five best enotecas where you can find great wine in Bologna. They all have different characters and purposes; some serve food, some don’t, but all of them share the same genuine passion for wine. Enoteca Faccioli was run by three generations of the same family since 1924, but they sold the business to the current owners in 2012 who turned it into a real mecca for natural wine lovers. The interiors haven’t changed, so the enoteca still looks like it did in the early twentieth century. The soul, on the contrary, is very much transformed. All the 450 labels on the list are natural wines, of mainly Italian and French provenance in equal shares. There’s also something to eat; charcuterie, cheese platters and the likes. Of course, food too is sourced from producers that share a similar responsible ethos. It’s cozy – just one room with a few small, round wooden tables. Ideal to fuel-up before walking up the Asinelli Tower or even for a never-ending chat after a long day sightseeing. Natural wine is still very niche in Italy so it’s unlikely you’ll find a better selection within Bologna. 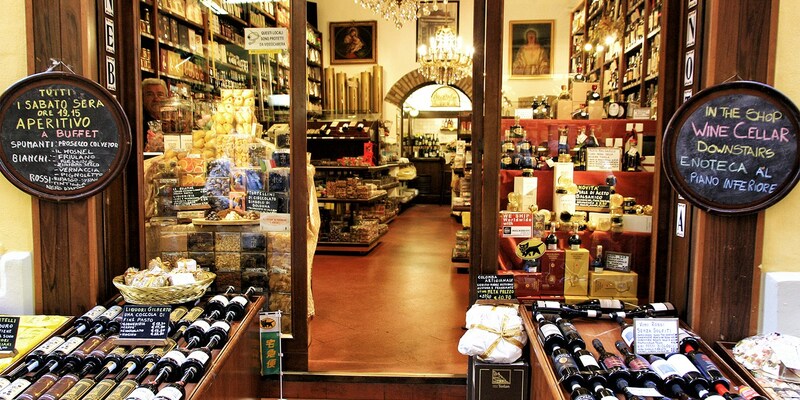 When in the area you should definitely make the most of Faccioli’s passionate and knowledgeable owners. The location is also pretty unbeatable, being next to two of Bologna’s most beautiful towers, Azzoguidi and Prendiparte. You can’t beat that! 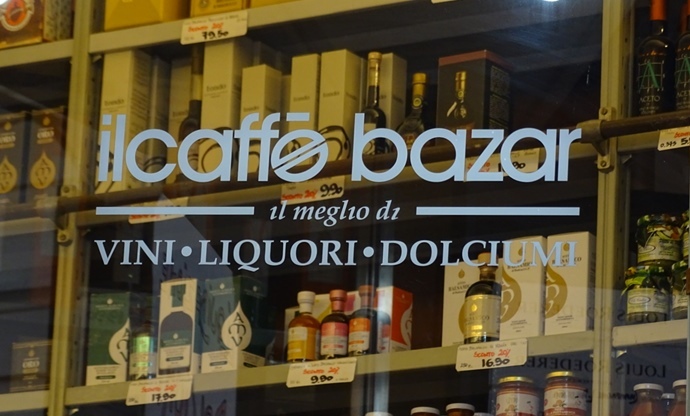 This shop is over 100 years old, centrally located under the Porticoes in Strada Maggiore, just a few hundred meters from the Asinelli Tower. Unsurprisingly, Scaramagli gets a large number of customers from abroad. But the atmosphere is 100% Bolognese; gloomy interior, kind of quirky (in a good way) that will make you feel like you’re in a film by Federico Fellini. Don’t be fooled though – there’s a real sommelier to guide you in your choice, with wines from all over Italy and even a few from abroad. The selection of grappe is excellent, as are the whiskies and sweet and fortified wines. Modern yet cosy, Enoteca Italiana has been one of the most successful of its kind since it opened in 1972. 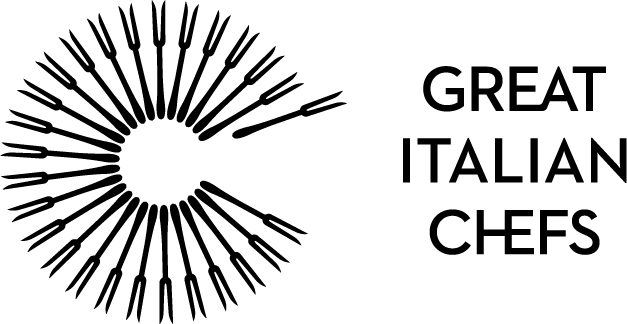 Today, it offers an excellent and well-kept selection of Italian wines, plus bits from elsewhere in Europe. A remarkable total of 2,000 labels; among them most of the better-known Italian bottles. It’s the ideal place for aperitivo, thanks to its tempting charcuterie and cheese counter – get some cheese, some ham and a glass of wine, then take a bottle with you when you leave. There’s also a collection of other products for sale, such as chocolates, preserves, pates, marmalades, olive oils, all of top quality. A room for private functions is available upon request. The name of this enoteca comes from the fact that, when it first opened in 1973, the place was simply a café. It soon turned into a shop, adding sweets, wines and spirits to its shelves. That’s what it is today, still owned by the same family. They benefit from a trusted clientele of repeat customers, mainly locals, generated over nearly fifty years of activity. Being a little off the beaten track, prices are good, so head there if you are looking for good value. You’ll be amazed by their selection of ‘classic method’ sparkling wines, with lots of Champagne (including Vintage Champagne), Franciacorta and other Italian Metodo Classico. Don’t forget to buy some sweets too! 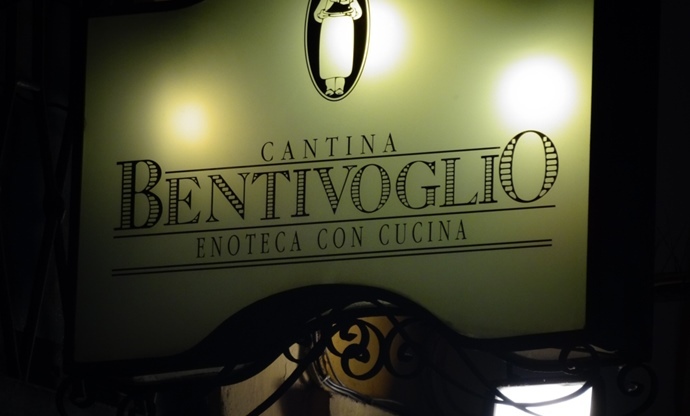 Cantina Bentivoglio is an enoteca, one of the most respected jazz clubs in the country and a proper restaurant, with a menu offering traditional Bolognese dishes. It is unbelievable how they manage to excel in everything they do. 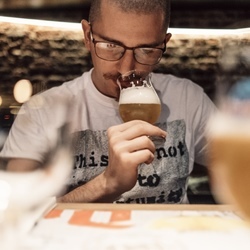 By visiting the Cantina, housed inside the sixteenth century Palazzo Bentivoglio (hence the name), one cannot miss the energetic vibe coming from the surrounding University district. It’s been focusing on great wine since 1987. Interestingly, the wine list is sorted by price, which gives guests with little disposable income a much easier way to select their bottle. Whatever your budget, Yiannis (the sommelier) is experienced and knowledgeable, and always there to advise. 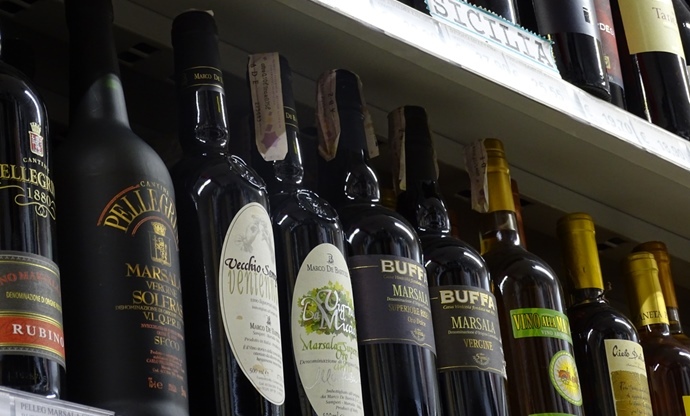 Labels are about 90% Italian, with the remaining 10% from France, Portugal, Slovenia, Germany and the New World. The two cellars deserve a proper tour. In the first they store all red wines ready for service. It’s a gorgeous underground room that can be used for private tastings too. A second cellar, five metres underground, is humidity- and temperature-controlled, and it’s therefore dedicated to long-term ageing. I’ve spotted some interesting magnums down there!